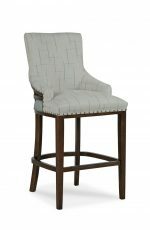 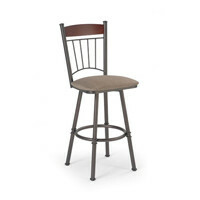 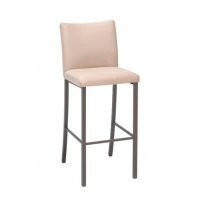 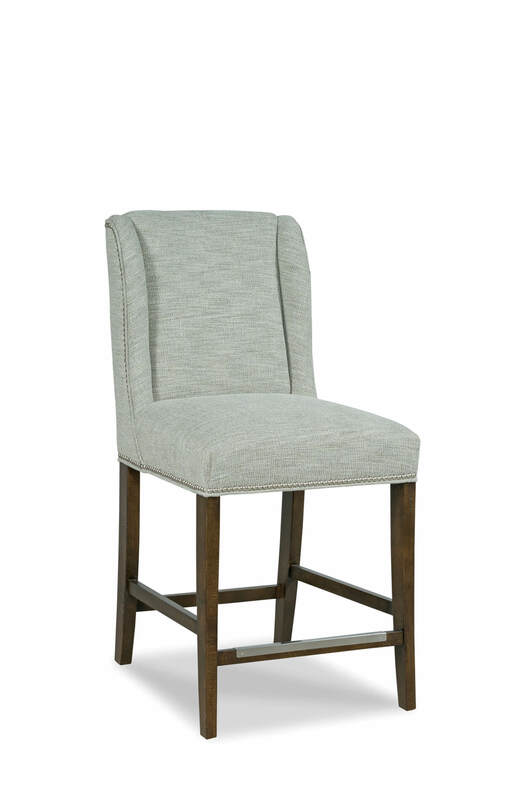 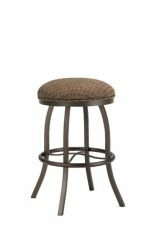 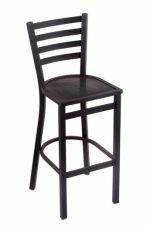 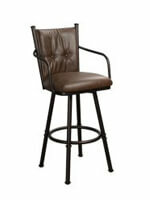 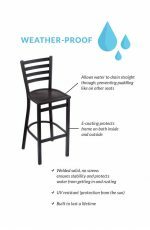 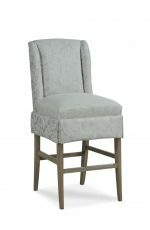 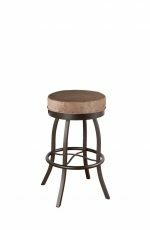 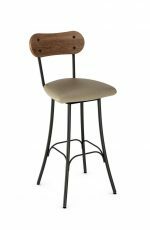 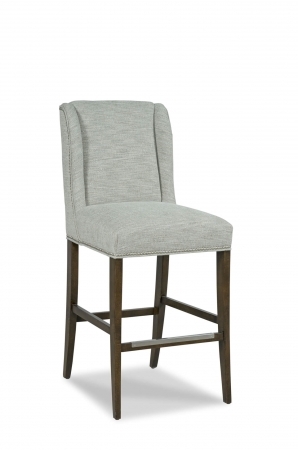 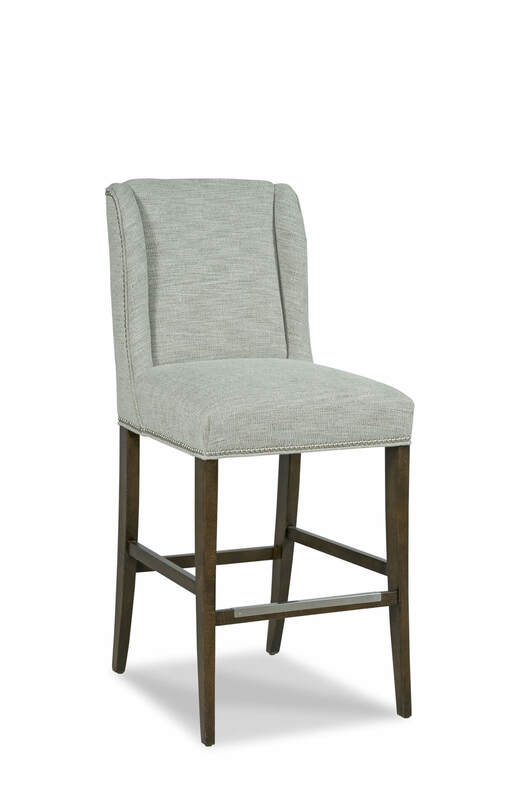 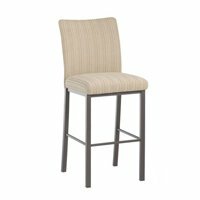 Buy Fairfield's Dora Upholstered Wood Counter Bar Stool - Free shipping! 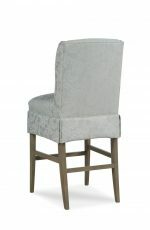 Frames are low in stock -- order soon! 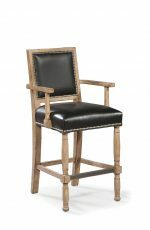 This is where classic meets contemporary. The Dora stool by Fairfield features a fully upholstered seat and back, a solid Hardwood base with slim tapered legs, and a metal footrest. 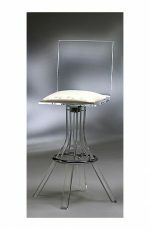 Wings on the backrest envelope you like a hug with comfort. 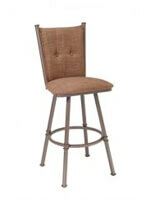 Available in both counter and bar heights, the Dana will delight your guests for years (and decades!) 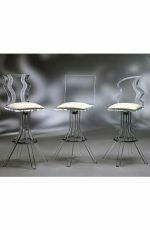 to come. 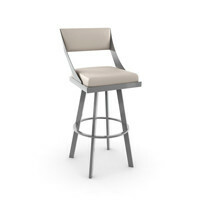 • For the Dora Upholstered Wooden Stool with Back, you will need 3.50 yards per chair.